The model 30 and 40 electric fans include an adjustable thermostat and a/c relay. An optional manual override switch may also be ordered for water crossings and/or mud racing. 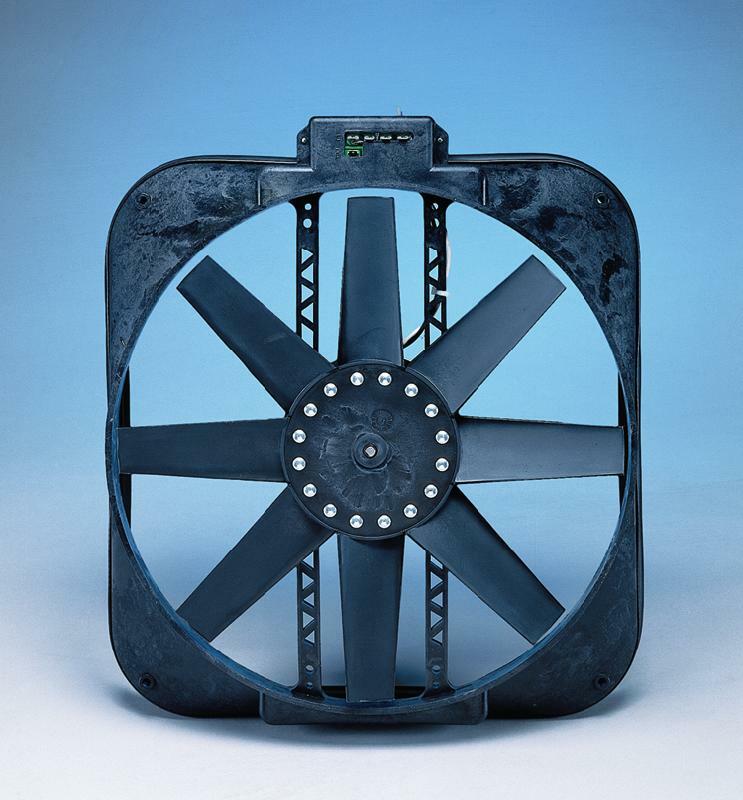 These electric fans produce the highest output per dollar cost. Restores horsepower when replacing the stock belt-driven fan. Primary electric fans can extend water pump life and increase gas mileage. Allows greater control of fan operation; e.g., long idles, etc. The Ranger/Bronco II fan features custom brackets that fasten directly to factory mounting points on the radiator. No need to drill added holes; no mounting through the radiator. Unit is supplied with adjustable thermostat and air conditioning relay. Fits 4 and 6 cylinder Ford Rangers and Bronco II’s, 1984 through 1994.